Site visit- How to make a river speak? 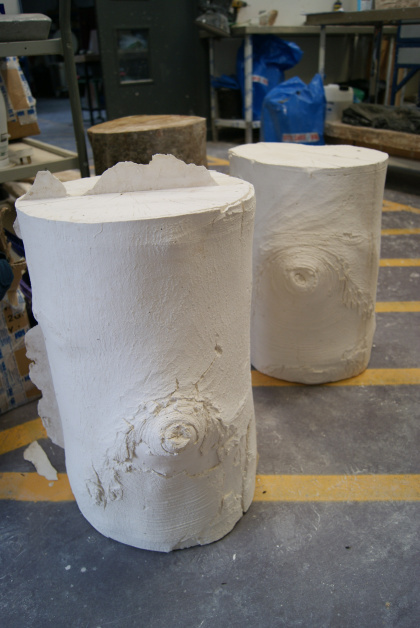 Thanks to Morrison construction, I have been able to gain access to the flood alleviation scheme site in Forres and photograph some newly cast pieces on the construction site where the original tree sections were removed from. 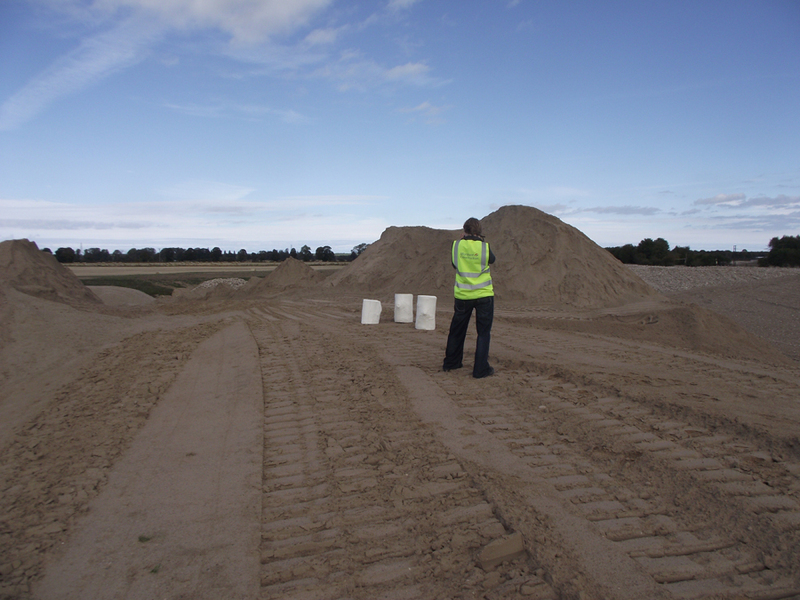 These huge sand piles are made up of material which was removed from the river, it has been processed and sorted into different grades of sand to be used to construct the new section of A96. This was one of a number of site visits I have made since this section of the river was closed off to public access earlier this year. 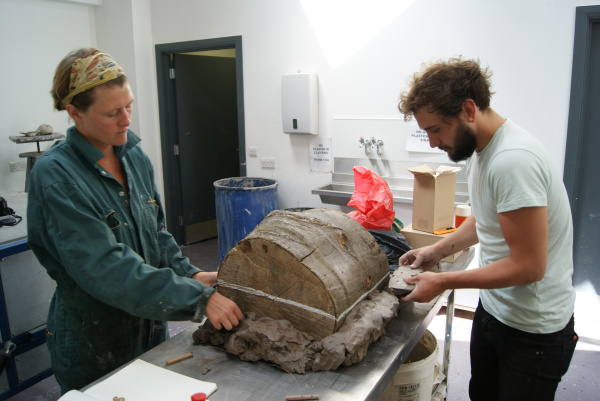 Some of the material Taken from the site, with the help of Morrison construction, was cast at the Scottish sculpture workshop this summer and will form part of a new large scale installation. 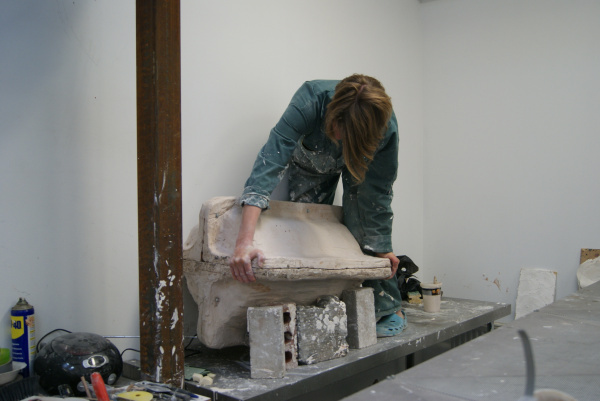 Here are a few images of the fabrication room at SSW where I spent most of my time during the residency. 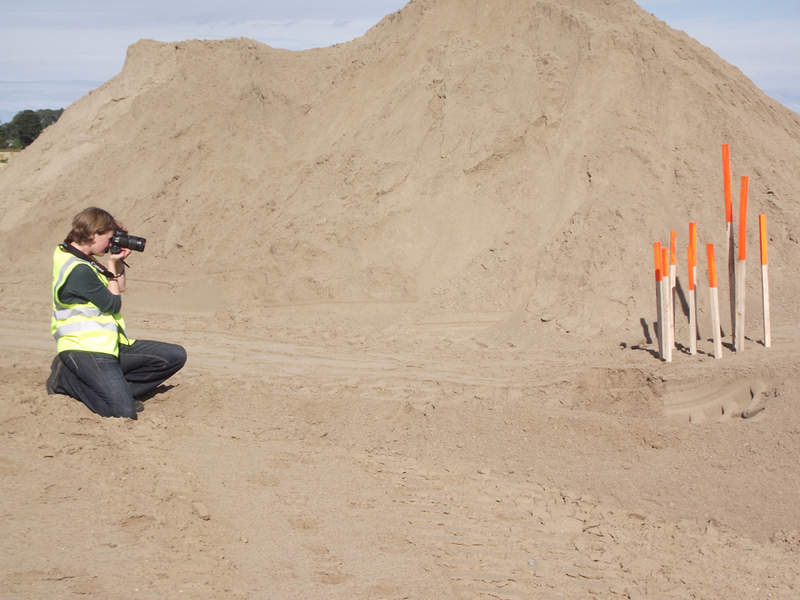 Big thanks to the lovely Luke Twigger for fantastic technical assistance. Not quite sure why I’m looking so serious, we actually had a lot of fun. 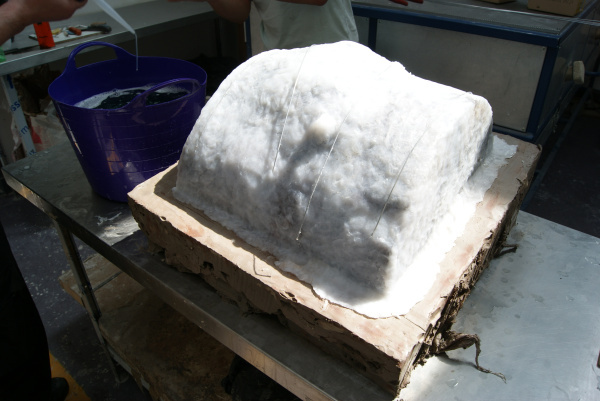 By the end of the residency we had mixed around a 200kg of plaster and Luke managed to do this all with out ruining his black jeans…. a real pro.